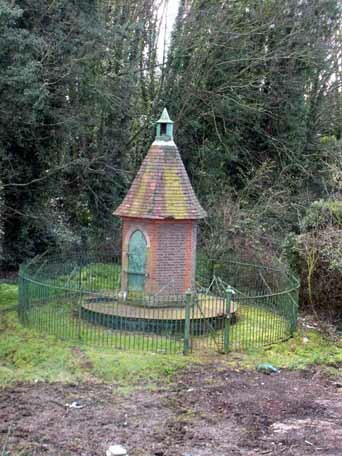 If you walk further along the side of the Thames from Isleworth, towards St Margarets along the Richmond Road, turn left opposite the Ailsa Tavern into St Margarets Drive, then hence into Ranelagh Drive, pass under Twickenham Bridge and then stop and look right into a small area of allotments…you will see a small folly-like round tower built of brick with a round conical roof. One would naturally think this was a store for the allotment gardeners. Turn around and look across to the other side of the river and you will see a repeat of this building. I have read that if you are lucky enough to be able to access one of the two round towers, you will find a staircase which leads down into a subterranean passageway. This passes under the river Thames and links with the tower at the other side, thus linking Surrey with Middlesex. From research at Richmond Local Studies Department at Richmond Library the following was revealed: A tunnel was built by the Metropolitan Water Board which indeed passes under the Thames between the two shafts. A sketch drawing of this is kept at the Library and it shows the position of the shaft and towers. 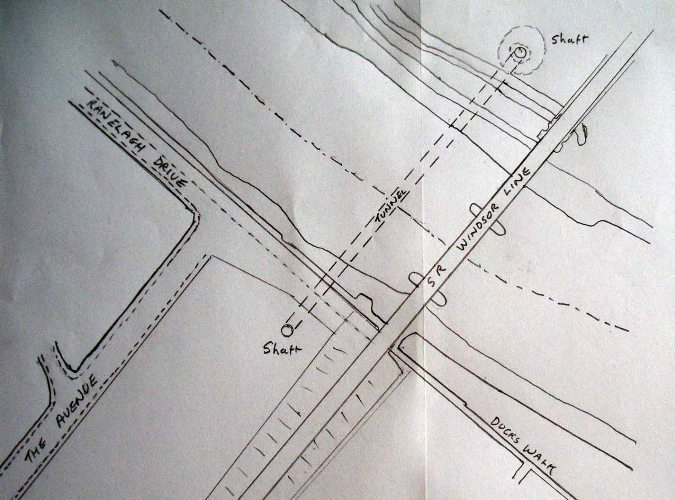 The records also reveal that it was built before Twickenham Bridge was constructed, as only the railway bridge is shown on the drawing. Twickenham Bridge was opened on 3rd July 1933. It it is not known at this stage whether one can now walk down the tunnel or whether it is used as a water main.